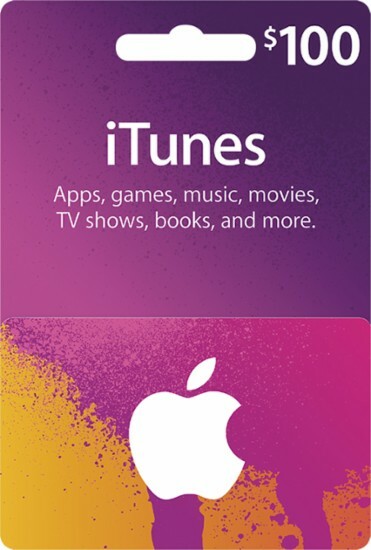 Best Buy is holding a flash sale that offers U.S. customers a $100 iTunes gift card for $85, which is 15% off, until 12 p.m. Pacific Time. The gift card is a physical version delivered with free two-day shipping to most U.S. addresses. If you are reading about this deal after it has expired, be sure to check out Best Buy's other deals on Apple products this week, including $100 off select iPad and MacBook Pro models and discounted Apple Watch models. U.S. only. MacRumors is an affiliate partner with Best Buy and may get paid if you click one of the above links and make a purchase. Thanks! I love these sales. Don't wanna be a deal breaker, but 15% is common for iTunes GC. Happens about once a month at least. Anything higher is a steal. I wish they would sell the $99 Apple Music card for $85. 20-25% used to be common but doesn't happen anymore. If you live close to a Fry's, they still have 20% off every few weeks (just yesterday they had $50 gift cards for $40). You just have to sign up for their promo codes. It doesn't show any discount for me. $100 for iTunes. $99 for Music. Yep, paypal aren't doing 15% off at the moment. The 15% off Apple Music with paypal is a 'prepay' for 12 months - pretty much seems a permanent offer.